The Gateway to the Great Barrier Reef, Cairns is a vibrant and colourful multicultural city, loved by locals and tourists alike. Visitors come from all over the globe to experience not only the Reef, but also the Atherton Tableland, Cape York, the Daintree Rainforest, and other world famous attractions. This large area is well served by our florist, who hand delivers a stunning selection of flowers and arrangements for all occasions. 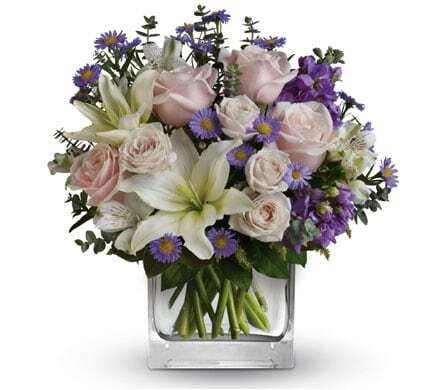 We deliver to most suburbs, as well as businesses, hospitals, churches, nursing homes, and funeral homes. Place your order before 2pm Monday to Friday (before 10am on Saturdays) for same-day delivery. As you would expect from such a diverse community, we deliver to churches of many denominations, including Adventist Churches, Cairns Baptist Church, St John the Evangelist Anglican Church, St. Monica's Cathedral, Cairns Presbyterian Church, Churches of Christ QLD, Good Shepherd Anglican Church Edge Hill, Jehovah's Witnesses, Presbyterian Church of Queensland, Greek Orthodox Church of Saint John the Baptist, Rigsum Gonpo Tibetan Buddhist Centre, and Citywide Christian Fellowship Cairns. We deliver to hospitals and medical centres, including Barrier Reef Medical Centre, Cairns Private Hospital, Cairns Central Medical Centre, The Specialist Centre Cairns, Far North Queensland Hospital, Gordonvale Community Hospital, Mount Sheridan Medical Practice, and Cairns Doctors Medical Centre. If your gift cannot be delivered to the hospital, due to hospital rules, we will happily deliver to the patient when they return home. When a friend or loved one passes, it's important to pay our respects, and flowers are perfect for conveying that message. We deliver to a wide range of facilities, including Guilfoyle Funeral Services, Cairns Funeral Directors, White Lady Funerals, Black's Funerals, Eales Family Funeral Service, Pioneer Cemetery, Innisfail Cemetery, Mossman Cemetery, Far Northern Funerals, and Cairns Crematorium & Memorial Gardens. We also deliver to nursing homes and retirement facilities, including Babinda Respite Centre, Aveo The Parks, Marlin Coast Day Respite Centre, Blue Nursing Service, Garden Settlement Nursing Home & Hostel, and Glenmead Village. 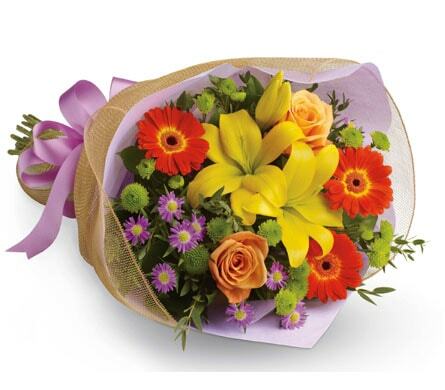 There are many different occasions when we choose to send flowers. And while some are sad, there are many happy celebrations, too. For example, romantic anniversaries are the time to spoil a loved one. Our Romance range includes some stunning creations, such as Roses for You - that's one dozen red roses beautifully presented in a stylish gift box. If you'd like to add something extra, you can choose from balloons, a gorgeous stuffed bear, or delicious chocolates. 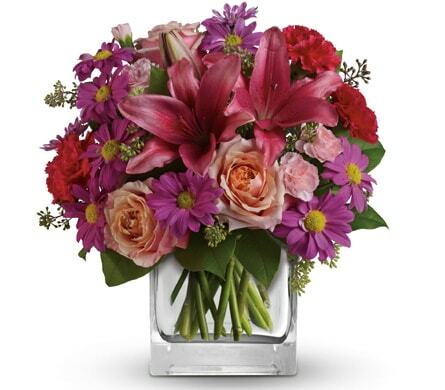 When the new baby arrives, we've got your gifting covered, with beautiful bouquets and floral arrangements. Cuddles for Him is so cute, with its blue, yellow and white blooms, and little blue bear. Celebrating Baby Girl is a charming array of soft pinks and whites, presented with pretty ribbons in a gift box. One of Australia's best loved tourist destinations, Cairns is a vibrant hub of cafes, restaurants, shops and, of course, beaches. It's a large city, stretching 52km from north to south, and the major commercial centre for the region.